Widely thought to be one of the most haunted towns in the US, Salem has a varied dark past but is mainly known for the interrogation and execution of 19 people suspected of witchcraft in 1692. Joshua Ward House is considered to be the most haunted spot in the town as it is the area where Sheriff George Corwin interrogated suspects using various underhand torturous tactics. It is now said to be haunted by the ghost of the Sheriff and his victims, who are known for creating chaos and mischief around the halls of the old house. There are plenty of Salem tours you can take part in which take you to many of the famous hotspots around town including Old Salem Prison, Joshua Ward House and a haunted cemetery. 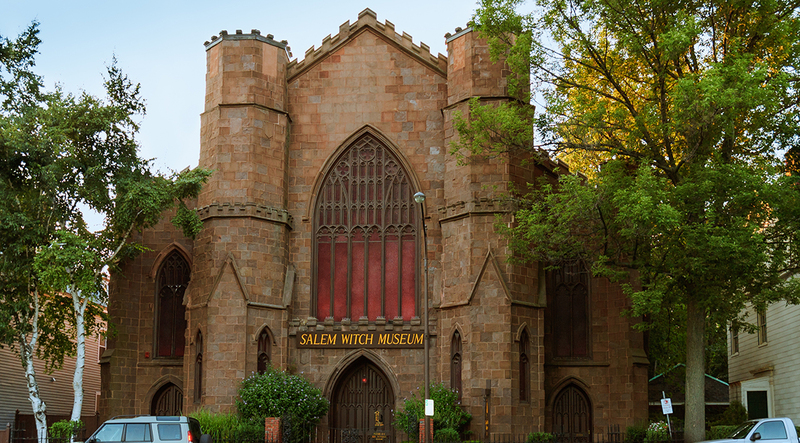 There are also many plays and performances in the area as a tribute to their famous witchery history and if you want to know the full story of the town’s dark past, a visit to the Salem Witch Museum will tell you all you need to know about the Salem Witch Trials. Salem is just 15 miles from Boston and we have plenty of amazing hotels to stay at in the city if you want to explore New England and all it has to offer. The mansion has long been associated with the legend of the White Witch of Rose Hall. The tale goes that Annie was born in Haiti and her parents died of yellow fever so she was brought up by a woman who practised witchcraft and voodoo. As an adult, Annie Palmer apparently murdered her husband who owned the house in the middle of the night during the 19th century. After this, her life seemed to be cursed with tragedies, murder and mystery as her next two husbands died suddenly as did many of her male slaves. After her death, her body was said to be buried in a tomb on the grounds and a voodoo ritual was meant to prevent her ghost from escaping the tomb but it was never completed. Now, in the present day, Annie is said to roam the mansion appearing as a ghostly white witch riding a horse or appearing on the balcony. There are tours of the gardens and mansion which overlooks the ocean below where you can find out more about Annie and the hauntings yourself. 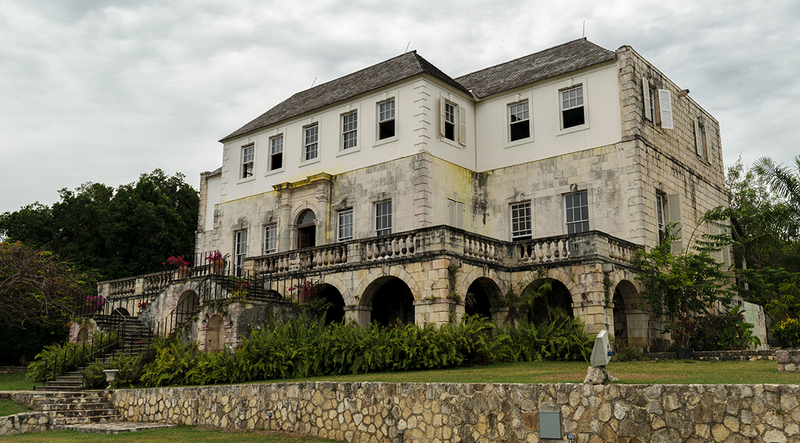 If you would like to check out Rose Hall we offer a variety of luxury hotels in Jamaica. This beautiful island has an ugly past which many believe is the reason it is said to be full of spooky goings on, especially during the witching hour of 3 am. 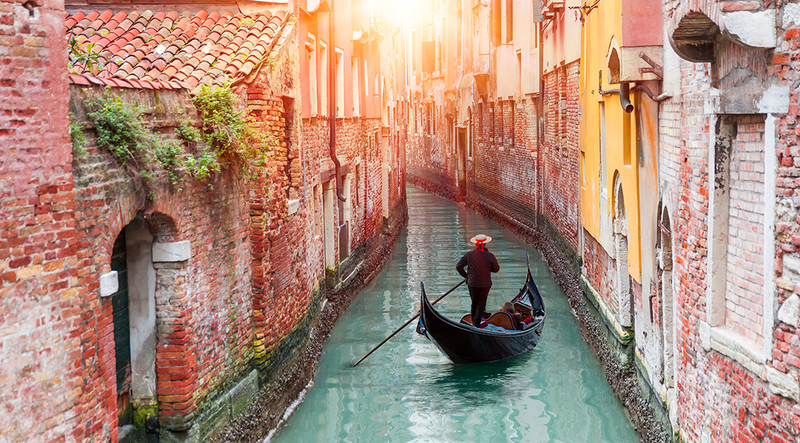 It is widely said to be the most haunted location in the whole of Italy and presently it is illegal to set foot there. Historically, the island was once used as a quarantine zone for patients suffering from the plague where those suspected of having the disease were left to die alone and in isolation. Because there were so many bodies, often they would be buried together in mass graves or burned. If that wasn't bad enough it was also used as an insane asylum in the 20th century and there were many rumours of torture and experimentation on patients there leaving the island with a painful past. Now the island is uninhabited however grapes thrive there even though the soil is made up of 50% human ash as over 100,000 people were laid to rest there. It is said you can still hear the screams of the people that once lived on the island and human bones to this day continue to wash ashore. 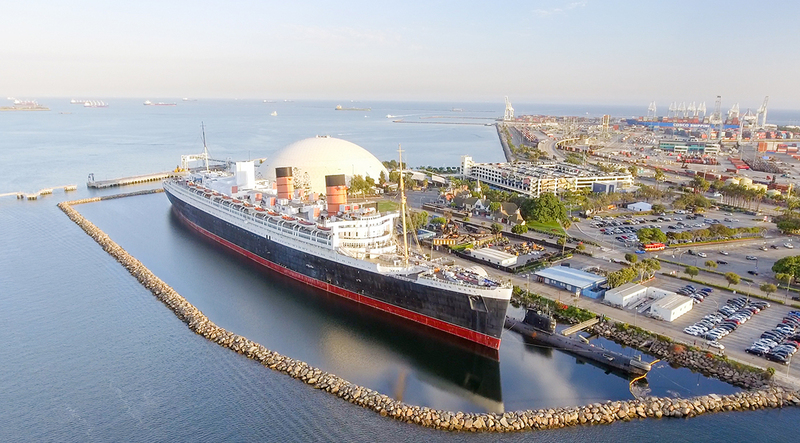 The vision of The Queen Mary docked permanently on Long Beach is a stunning scene, but the ship's history includes apparent haunted activity. It is on the top ten list of haunted locations in the US by Time magazine. The Queen Mary spent 30 years at sea and during those long years, there were 50 deaths on the boat. There are many tales today of ghostly sightings, strange noises and the feeling of being watched. The ghosts include an engineer who died in the engine room, numerous children and a woman in white. Part of it is used as a hotel and many ghost hunters have spent a terrifying night there confirming paranormal activities. If you aren’t feeling quite so brave we have a variety of luxury hotels in LA to choose from and you can go on a tour of the ship or one of the many paranormal tours and events. 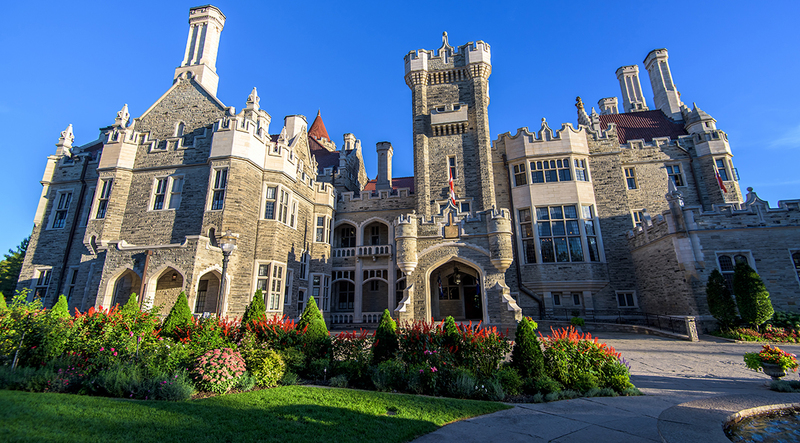 The building was completed in 1914 in a Gothic Revival Style and it has many long hallways and secret passages. Many of the locals believe the house to be haunted and now, each Halloween it is decked out with decorations so guests can take a tour of the beautiful house and gardens to see if they see or feel a bump in the night! Sightings, often by hotel staff, are of a woman in white and you can hear the mutterings of a grumpy old man close to the stables. The woman in white seems to be seen the most on the second floor and more recently the basement. She is said to be a maid that used to work there in the early 1900's and is often seen cleaning around the building. 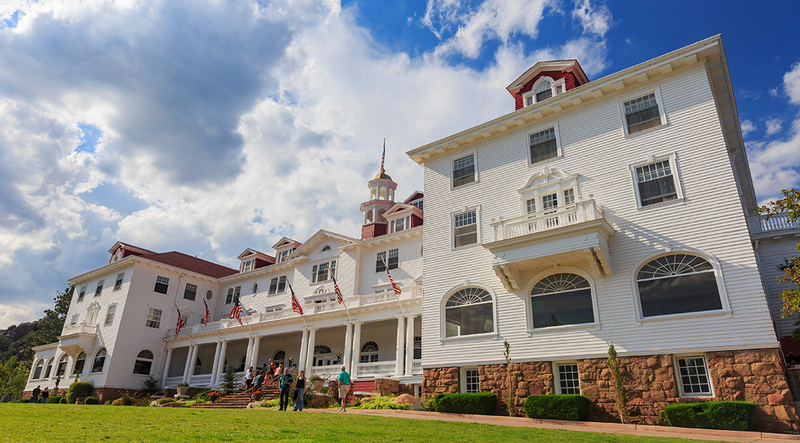 The Stanley Hotel is said to be the inspiration behind Stephen King’s novel and subsequent film, The Shining. According to many guests and the staff at the hotel, there are many paranormal goings-on around the hotel and in specific rooms. One room, in particular, is said to be haunted by a maid who packs away guests clothing when they aren’t looking and ghostly figures have been captured all over the hotel. There are ghost tours and if you are brave enough you can stay in a room overnight. Alternatively, we have some stunning hotels in the Colorado Mountains for you to relax in before your ghostly adventures. 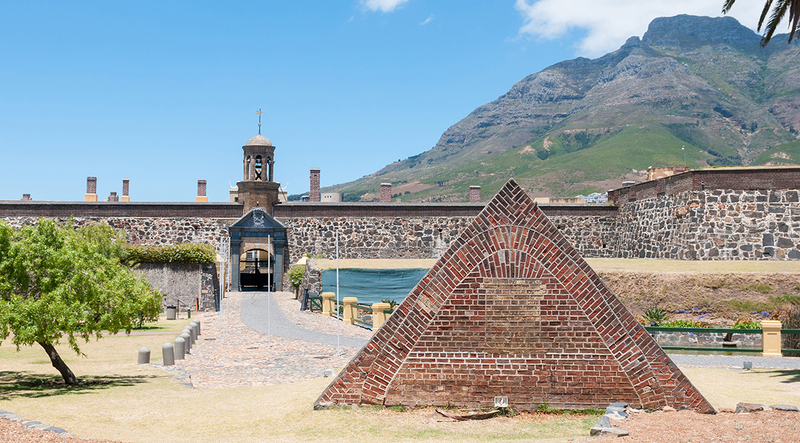 It is South Africa’s oldest colonial building built in the 17th century by the Dutch East India Company. Back in 1915, the ghost of a tall man jumping off the side of the castle walls was seen as well as sightings of him walking around the castle grounds. Another spirit, which is said to haunt the area, is the Lady in Grey who is seen running through the castle with her face in her hands and crying. During recent excavations, a woman’s remains were found and since then no one has seen the Lady in Grey. Other odd occurrences include the bell in the bell tower ringing on its own and the ghost of a black dog appearing and then disappearing into thin air. If you would like to check out any of these haunted locations we have luxury hotels in each area so contact us below and begin your spooky adventures!